Every bookworm can agree that it is absolute pure joy when finding that perfect page turner to help you keep your mind off the crazy heat. It’s what allows us to soak up the sun by the sea or poolside and enjoy the perks of summer. Here are some of our favorite Fashion Books! Currently, want to go to the beach but still looking for that easy read to take along with you? Here are a few of the best Fashion Books to read during the summer. 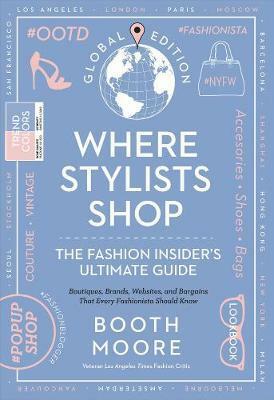 This book is perfect for all you fashion obsessed globe trotters! Fashion editor, Booth Moore gives the perfect tips on the best places to go shopping all round the globe – Highlighting the best stylists, designers and brands. 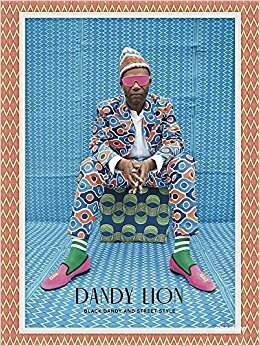 Images of all the well-dressed “trickster-rebels”, men in electrifying colored suits and bright patterns – The world of Dandyism focusing on a number of designers, personalities and events defining the movement. DISCOVER YOUR PERSONAL STYLE AND BUILD YOUR DREAM WARDROBE. 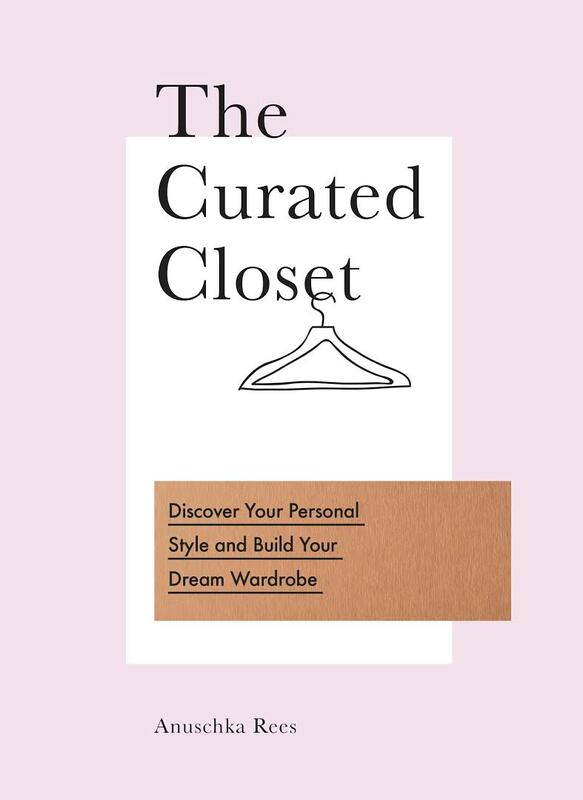 A Berlin-based fashion blogger is here to help you transform your style and experiment with your summer wardrobe with helpful questionnaires, checklists that will ultimately enable you to create your own new style. A day on the beach is not only a whole lot of fun but also incredibly good for your body if you act responsibly. Preparing for a whole day at the beach? Make sure to toss these Beach Day Essentials into your beach bag! There is a lot of Beach Day Essentials to carry when spending a day on the beach, but there is nothing you cannot fit in a canvas tote bag. You also do not need to worry of it getting ruined if it gets a tad damp or wet. It is the perfect go-to bag for the beach! Never go to the beach without a towel and if you are feeling extra generous, take your massive beach towel and save the few that forgot to bring one. You will be able to fit around 3-4 friends at least to have a great chat by the sea or just listen to music and work on your tan. This is quite the no-brainier if you are aware that you are going to be spending all the day on the beach, so always apply AND REAPPLY. Even though most of us do head to the beach to work on getting that tan, but skimping on the sun protection is not the way to go. You can find sunscreens with appropriate protection and instant bronzers so there is no excuse. Even if you do apply sunscreen, your face is still going to need that extra protection. The bigger, the better protected, so do not be shy to wear those massive sunglasses and big floppy hat. It is a cute and stylish way of avoiding the bright red nose and cheek bones. 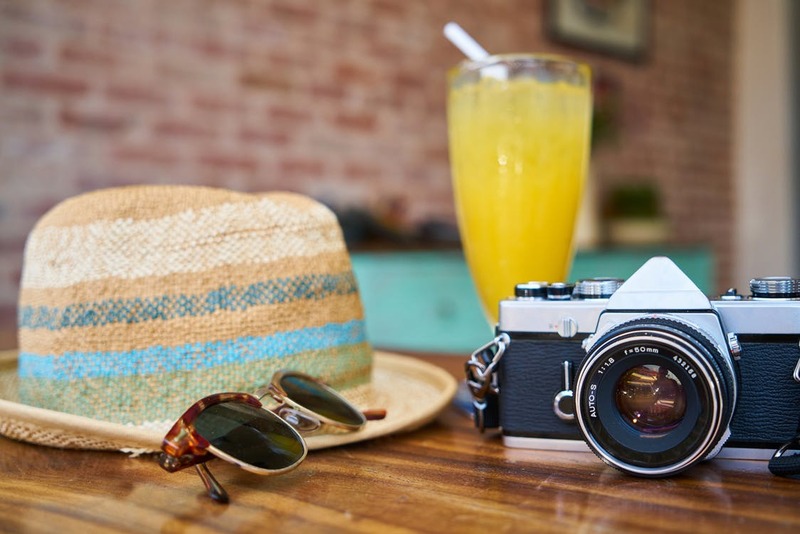 Tanning and swimming for the day is bound to leave you parched, so make sure to take your water flask along with you to have cool water available whenever you will need some. Always take a bunch of snacks to the beach with you. Something like cool mixed fruit, salads, some healthy granola bars and so on. This is ideal if you plan on staying at the beach for longer than 3 hours, to ensure that you will be full and happy on your well-needed beach day. 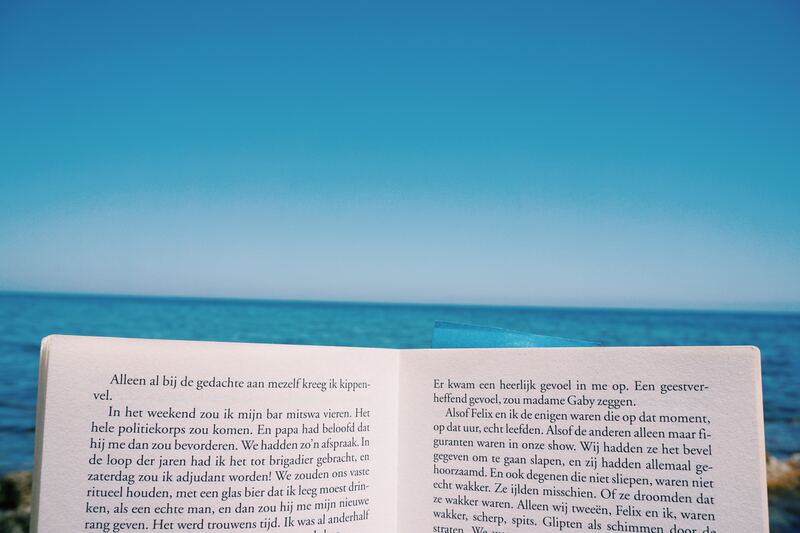 It is one of the best feelings to unwind with a good read in hand whilst listening to relaxing music at the beach. Here are 3 good fashion books for this summer. Barcelona is a city that oozes style! Here are some of the best locations for Luxury Shopping in Barcelona, one of Europe’s finest shopping destination. You will find the best luxury brands in the whole of Barcelona. Starting from Plaça Catalunya to Carrer Diagonal. You will find the widely recognized brands for clothes such as Channel, Versace, Maxmara, Hermès and Prada. If you are looking for jewelry Tiffany & Co, Cartier and Bagues Joieria will be waiting for you. This area is a must if you are looking for Luxury Shopping in Barcelona. This runs along the top of Passeig de Gràcia. Here you will find a number of high-end brands such as BOSS, Roca Clarà and the famous interior design shop Habitat. Here you will find an abundance of boutique shops selling one-of-a-kind clothes, shoes, jewelry and home-furnishing. Many different designers showcase their designs in this area, and by time more and more big names are appearing. This area is found high above the Eixample district of Barcelona, and is known for its beautiful greenery and high-class residential areas. 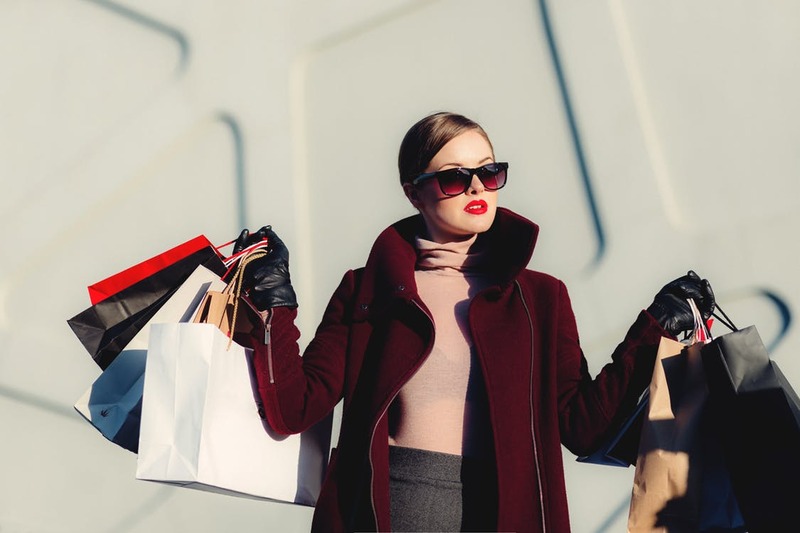 As for the shopping, make sure to prepare your wallet for all the small boutiques on the side streets that sell clothing, home décor and other accessories. Most shops are owned by local designers but none the less, it is guaranteed that you will be purchasing one-of-a-kind piece in any of these local boutiques. This can be found just half an hour away from Barcelona, and should definitely not be missed out if you are up for deluxe shopping but are also looking for that good bargain. Here, one will find over 100 outlets such as Diesel, Calvin Klein, G-Star Raw and Spain’s Desigual. Lifeguards and swimsuit models have it way easier than the rest of us that work in an office – The struggle on deciding what to wear in these bipolar weather conditions is real! Here are a few tricks to keep in mind. Never go too bare. Always be aware of the environment you are working in and stay within its boundaries. If you are a business professional attending one meeting to another, think loose and keep covered. You can never go wrong with a light loose blouse, some breezy midi skirt, and a pair of comfy court shoes. It is super important that you do not undermine your professionalism with your choice of clothes. When it comes to creative work places it is acceptable to bare a little skin. Maybe a sleeveless top, palazzo pants or a shirt dress to be able to survive the warmer months. Additionally, if you are that creative freelancer, such outfit ideas will make the running round town a tad more bearable. However, still do keep in mind that plunging necklines, peek midriffs and rising hems are always considered inappropriate for work. It may be hard to welcome the summer season with open arms whilst still needing to look internship-appropriate. Try go for something youthful but appropriate. Something like a vibrant patterned blouse, breezy pants, and flats and maybe some casual jewelry. 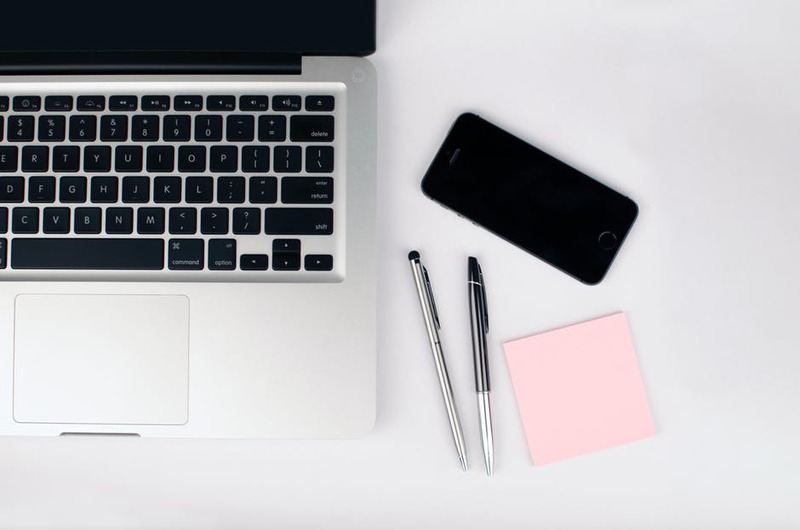 It is good to keep in mind though, that unless you have been informed ahead about the office’s dress code it would be a good idea to dress up formally for the beginning. ONE OF THE MOST IMPORTANT RULES TO ABIDE BY WHEN IT COMES TO DRESSING UP FOR THE OFFICE – IF YOU WOULD WEAR IT TO THE BEACH IT IS A DEFINITE NO-GO ! 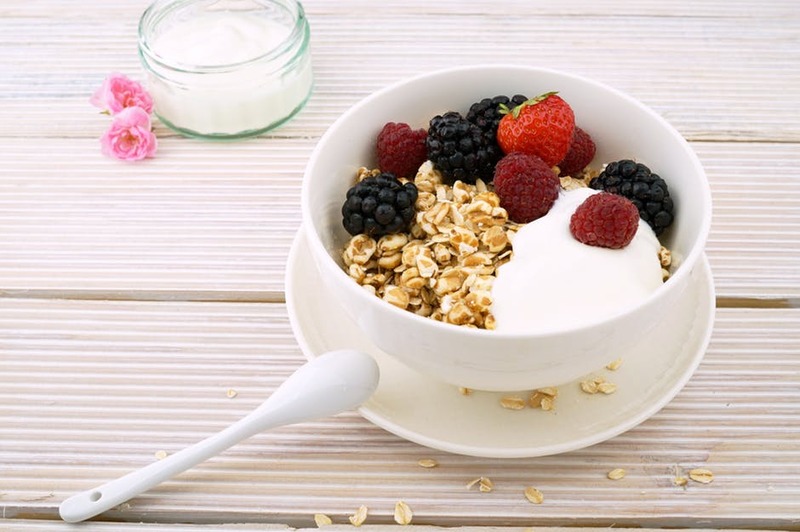 Breakfast is what will kick start your metabolism and help you burn your calories throughout your busy day – It is what gives you the energy you need for the rest of your day to help you focus on your work. However, many of us find it rather hard to make time for this most important meal of the day, or instead choose easier, unhealthy alternatives that will give you a boost of energy that will not last any longer than an hour. 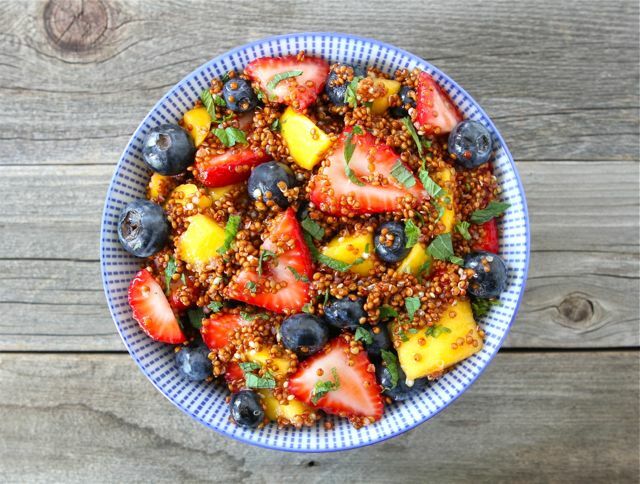 This simply requires a cup of plain fruit cut up with one scoop of quinoa – Toss around until the quinoa is distributed throughout the whole cup. Finally, to enhance the taste one might want to add lime, honey or basil. Finally! A muffin minus all the sugar. 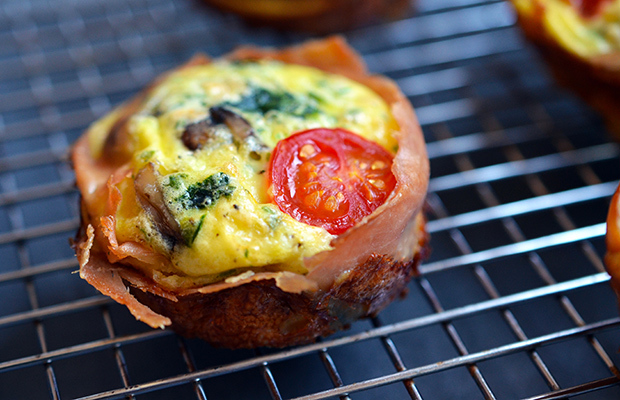 Simply whisk eggs along with bacon, spinach and cheese and pour that mix into muffin cases. Then bake for approximately 15 minutes before serving or refrigerating them. Not only are they simple to make, but will even last you all week if you decide to bake ahead. Headed out for a busy day at work or the gym? This is your perfect on-the-go snack that will provide you with all the energy you need. 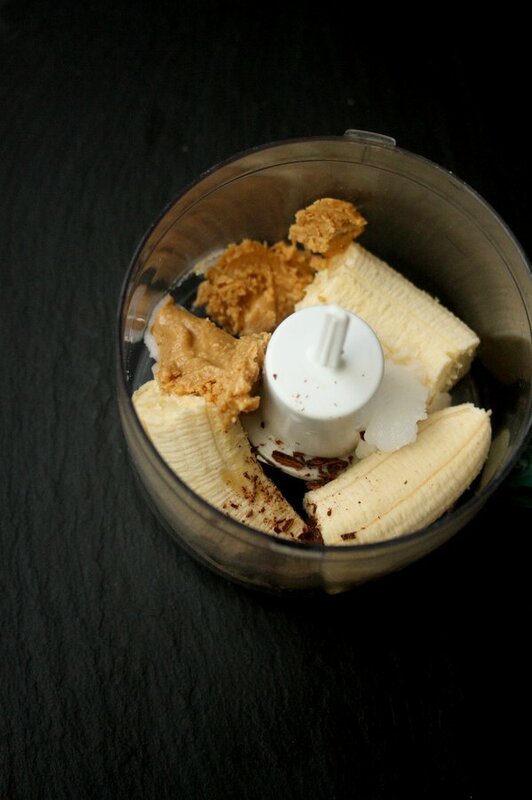 Blend a mix of peanut butter, bananas, Greek yogurt, soy milk, honey and ice cubes, and it is ready to be chucked in your work or gym bag to help you survive the day. 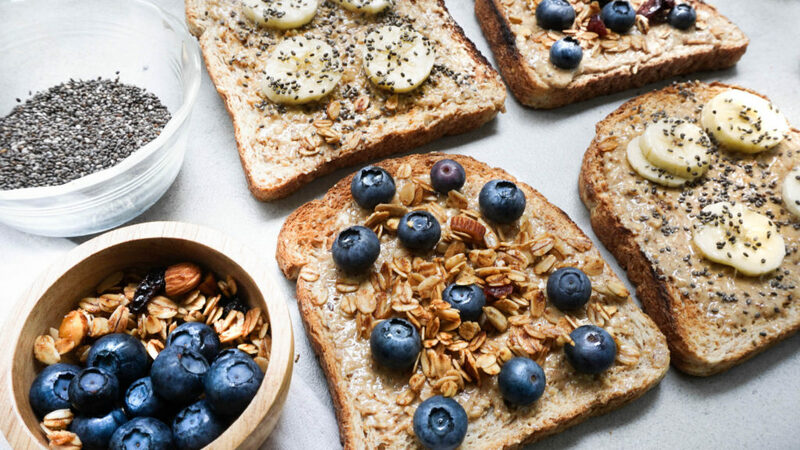 A classic peanut butter toast with any fruit of your choice cut up, and a dash of chia. This quick recipe will provide you with all the vitamins and minerals you need for your day.